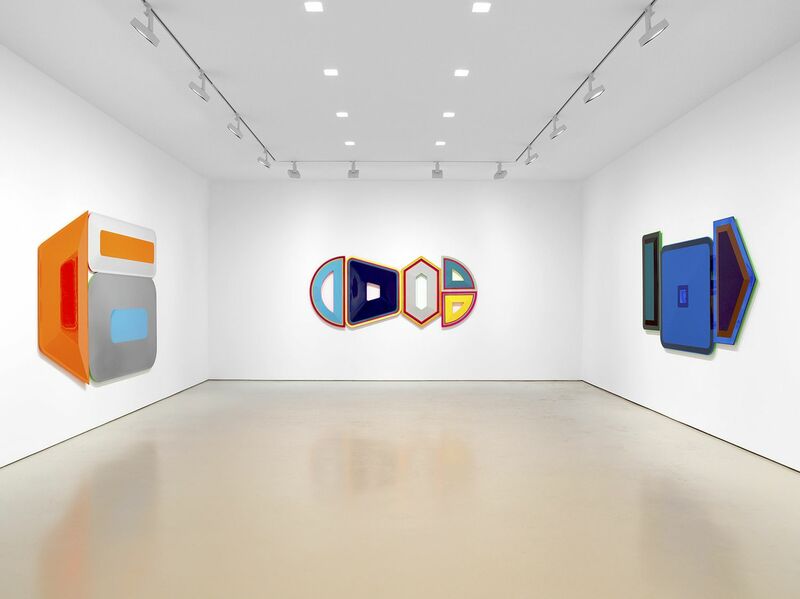 NEW YORK, NEW YORK – MILES MCENERY GALLERY is pleased to present an exhibition of works by Beverly Fishman, on view 11 October through 10 November at 520 West 21st Street. A public reception will be held for the artist on Thursday 11 October from 6:00 to 8:00 p.m. The exhibition is accompanied by a fully illustrated publication, featuring an essay by Dawn Chan. 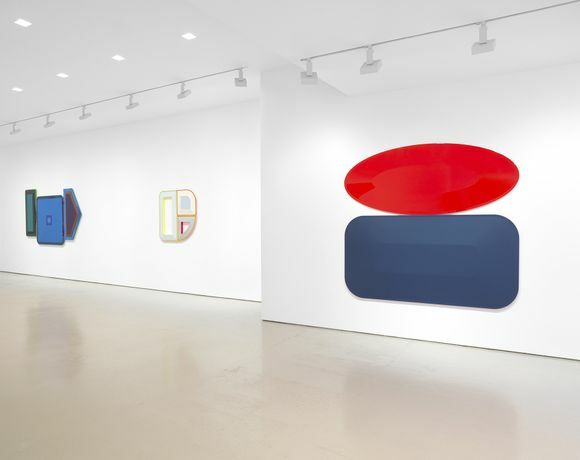 Beverly Fishman’s bold, polychromatic wall works meditate on the many parallels that can be drawn between pharmaceuticals and art. Like taking a pill, an experience with art is often brief yet has the ability to induce a response that runs deep within in one’s being. Fishman’s vivid geometric reliefs may not take on the overt physical appearance of pills, but are representative of how pharmaceutical companies utilize aesthetic appeal in their products to offer the promise of a better reality. Each optically alluring and carefully crafted shape stacked within her compositions is assigned an ailment denoted by the title of the work. with the viewer’s perception of space and reality. The awless, pristine surfaces of Fishman’s work additionally mimic the clean andtechnologically precise expanses of research labs and operating tables, directly associated with pharmaceuticals. 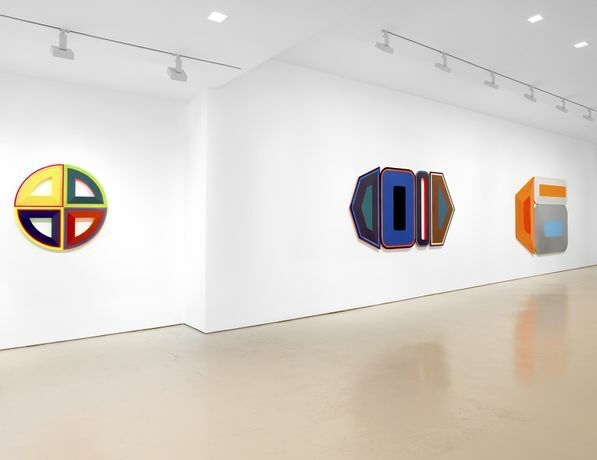 BEVERLY FISHMAN (b. 1955, Philadelphia, PA) received her Bachelor of Fine Arts degree in 1977 from Philadelphia College of Art, and her Master of Fine Arts degree in 1980 from Yale University. Recent solo exhibitions include Miles McEnery Gallery, NewYork, NY; “Chemical Sublime,” Kavi Gupta Gallery, Chicago, IL; “T.N.N.,” Kravets Wehby Gallery, New York, NY; “DOSE” (curated by Nick Cave), CUE Art Foundation, New York, NY; “Another Day in Paradise,” Abroms- Engel Institute for the Visual Arts, University of Alabama, Birmingham, AL; “Pain Management,” Library Street Collective, Detroit, MI; “Big Pharma,” Columbus College of Art & Design, Columbus, OH; “Beverly Fishman: In Sickness and in Health,” Chrysler Museum of Art, Norfolk, VA; “Living Networks,” Wasserman Projects, Birmingham, MI; “Focus: Beverly Fishman,”Eli and Edythe Broad Art Museum, East Lansing, MI; “Arti cial Paradise,” Wasserman Projects, Birmingham, MI; “Pill Spill,” DetroitInstitute of Art, Detroit, MI; Galerie Richard, New York, NY; “Pharmako,” Galerie Richard, Paris, France; and “Pill Spill,” Toledo Museum of Art, Toledo, OH. Recent group exhibitions include “Gra k,” Harper’s Books, East Hampton, NY; “Xeriscape - Nina Chanel Abney, Rosson Crow, Beverly Fishman, Tschabalala Self and Wendy White,” Library Street Collective, Detroit, MI; “Front International” (curated by Michelle Grabner), Cleveland Triennial for Contemporary Art, Cleveland, OH; “Public Matter,” Library Street Collective, Detroit, MI; “Primary,” Korn Gallery, Dorothy Young Center for the Arts, Drew University,Madison,NJ; “‘Spieltrieb’ : Polly Apfelbaum, Beverly Fishman, Ryan Mrozowski, Kathleen Ryan,” Jack Hanley Gallery, New York, NY; “Remains of the Days,” Borusan Contemporary, Istanbul, Turkey; “Paper,” Kavi Gupta Gallery, Chicago, IL; “A Dazzling Decade,” Nerman Museum of Contemporary Art, OverlandPark, KS; “The Cof ns of Paa Joe and the Pursuit of Happiness,” Jack Shainman Gallery, New York, NY; “She Rocks,” Kravets WehbyGallery, New York, NY; “Sensuous/Pensive: At Odds and Overlapping” (curated by Donald Kuspit and Casey Gleghorn), Booth Gallery, New York, NY; “Painting/Object,” Library Street Collective, Los Angeles, CA; “Super Sketchy,” DCTV, New York, NY; “New Works by Daniel Brice, Tim Forcum, Beverly Fishman, Dion Johnson, Joe Lloyd, John Schlue, Christian Tedeschi, and Wayne White,” Western Project @ JAUS, Los Angeles, CA; “Going Big, Central Booking,” New York, NY; “Compendium,” The Islip Art Museum, East Islip, NY; “The Brain,SunValley Center for theArts,” Ketchum, ID ;and “Post-Op: The Responsive Eye Fifty Years After,” David Richard Gallery, Santa Fe, NM. She is the recipient of many awards, including Hassam, Speicher, Betts, and Symons Purchase Award,American Academy of Arts and Letters; John Simon Guggenheim Memorial Foundation Fellowship; Louis Comfort Tiffany Foundation Award; Artist Space Exhibition Grant; and NEA Fellowship Grant, among others. Beverly Fishman lives and works in Detroit, MI.